Early intervention programs help special needs children better function in their world. 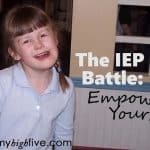 After discovering your child has special needs, the process of finding the right type of help can be daunting. Where do you begin and how do you know what the right kind of help is? In our situation, we were very fortunate to have a phenomenal pediatrician. I believe that is the first–and one of the most important–steps in getting help for your child. Not all pediatricians are created equal. 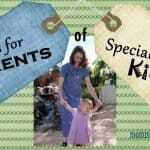 I was grateful to have a pediatrician who treated many special needs children with a variety of conditions. He had great contacts at our local children’s hospital and was able to pull some strings to get us into specialists without having to wait the typical six months to see those specialists. Make sure you are seeing a pediatrician who has experience and extensive knowledge about treating kids with special needs. It will be a great benefit to you and your child. When our daughter was only a few weeks old, our pediatrician recommended we contact our local school district about early intervention. Early intervention services include different types of therapy for children with disabilities or developmental delays. Services include training for parents as well. Most states have a state-funded early intervention program for children ages newborn to three years. Some states offer these services free of cost; others have a sliding scale depending on income. The goal of early intervention is to help the child function more fully in their current environment and in the future. The therapy services help children to increase cognitive function as well as physical, sensory, visual, and hearing functioning and coping. In our case, the early intervention therapists came to our home several times a week. Occasionally we would go into their office and have therapy or playgroups and parent support groups. My daughter’s physical, occupational, speech, and vision therapists became a lifeline for me. More than most other people, these therapists really understood what my husband and I were experiencing because they were there experiencing some of it right along with us. 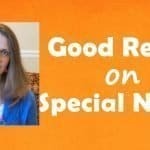 Our school district even offered free babysitting for parents of special needs kids a few times a year. Trained therapists were the babysitters, and we were very comfortable leaving our daughter with them. It was a great opportunity for my husband and me to have a much-needed break. How Does an IFSP Work? An early intervention program requires your child has an Individualized Family Service Plan (IFSP). This plan is made as a service coordinator meets together with parents and therapists to determine what goals are appropriate and reachable for the child. It requires therapists to keep detailed data on the child’s progress from one visit to another. Because parents are present during all therapy sessions, they are able to see the therapists implementing the goals. Additionally, therapists involve the parents in the child’s goals. The therapists train the parents on how to do the various exercises, and parents are then able to work on the goals between visits. The IFSP is updated every six months. 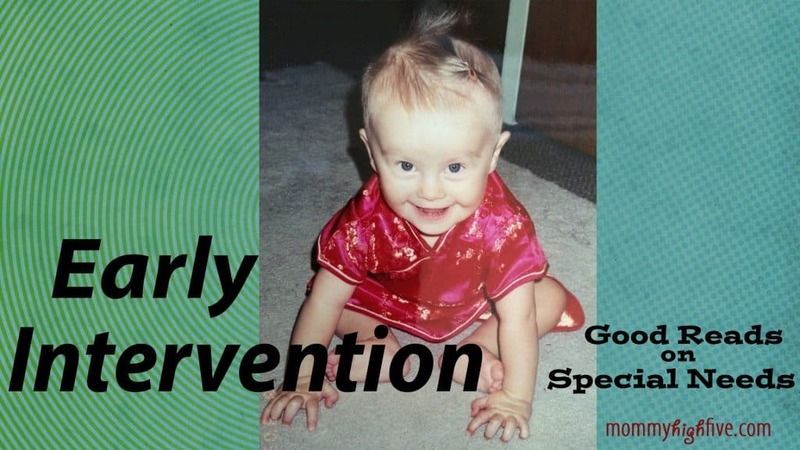 Early intervention had such an impact on our lives. We saw such improvement in our daughter’s ability to communicate as well huge improvements in her physical strength and coordination. We received support and encouragement at a time when we were unsure of how to best help our daughter. Our therapists trained us not only in how to implement the exercises they were using to strengthen our daughter’s body and mind, but they also helped us come up with some discipline strategies that you don’t see in parenting manuals. Looking back, I realize those years of early intervention were priceless. 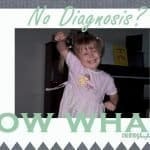 We dealt with a lack of diagnosis for our special needs child for a long time. However, because of the early intervention our daughter received, she achieved milestones I believe she would not have achieved for years later if she had not received early intervention. In the years since, we have had some family members and friends whose children would have benefited from early intervention. While it was a touchy subject to approach with them, I was glad I chose to tell them about our early intervention experience. Some of them chose to learn about early intervention for their children while others did not. Those who did were very glad that they did. I strongly encourage any parent who is concerned about their child’s development to get a hold of a good pediatrician and find out about early intervention.